An LADWP Commissioner is offering a new way to connect with your Los Angeles Board of Water and Power Commissioners, which meets regularly on the second and fourth Tuesdays of each month at 10:00 a.m. at the LADWP Headquarters in Downtown LA. 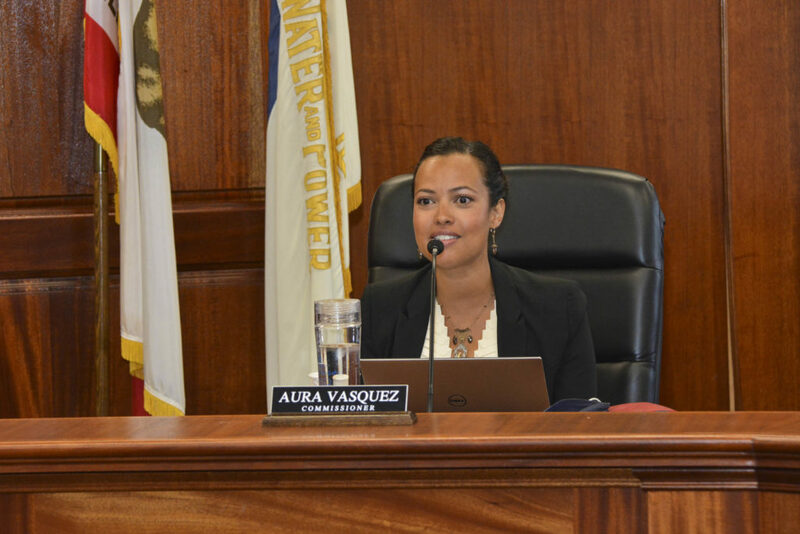 Since joining the LADWP Board in May 2017, Commissioner Aura Vasquez established office hours to meet-one-on-one with community members and stakeholders following the second board meeting of each month. She invites anyone interested in meeting with her to schedule an appointment for a one-on-one meeting to discuss anything and everything LADWP. In 2019, Commissioner Vasquez is hosting her office hours across Los Angeles, visiting different communities each month to reach those who cannot make it to Downtown LA on a weekday. Upcoming Office Hours: April 2, 2019 from 4 p.m. to 6 p.m. at the LADWP Van Nuys Customer Service Center, 6550 Van Nuys Boulevard, Van Nuys 91405. Please note that the April 2 office hours are being held on the first Tuesday in April due to the cancellation of the Board Meeting and Office hours originally scheduled for March 26.